When Is The Best Time For Every Meal Daily? - You Are A Genius You Are A Genius: When Is The Best Time For Every Meal Daily? When Is The Best Time For Every Meal Daily? 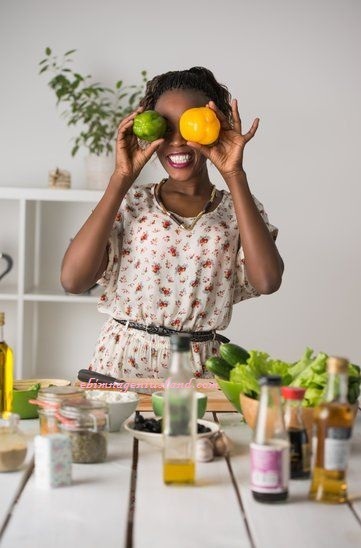 Many time we have almost forgotten the reason for every meal, sometimes we skip the breakfast thinking that its the best thing to do maybe for us to save our foods because we don't have much to eat or maybe we just don't feel like eating anything. We never knew we are doing our body nothing good but more harm, although we're doing it unknowingly. That is why we are here to tell everyone all over the world the best time to take each meal every day. A particular lunch was invented for the good of everyone in the world, in order for us to earn a healthy and wealthy living. We are not to skip meals unless for another reason which might involve spiritual journeys like fasting. When one is fasting and praying you can skip any meal for the day but always remember to fast and wait upon the Lord as your strength can carry. Don't always fast to impress anyone, whether your priest in the church or the director of any organization. 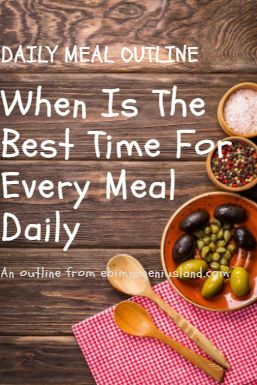 Now, The question everyone needs an answer to it is, when is the best time for every meal per day? Breaking your fast is one of the most important meals every day, the reason is that when you skip breakfast there are so many diseases you inviting in your body unknowingly. People who skipped breakfast had a 27% higher risk of heart attack or death from heart disease than those who honored the morning meal. When the day breaks, you are to eat your breakfast as early as 7:00-8:30 am. if you have really monitored yourself, you will realize that when the time is 9-11am and you have not taken your breakfast, your stomach will automatically start making some irresponsible noises. All those are signs of the worms in a human body seeking for what to eat, and when there is none for them to eat, they eat up the flesh in your body, which causes whole in your stomach and might result to cancer. According to the scientists, skipping breakfast may make you hungrier and more likely to eat larger meals, which leads to a surge in blood sugar. Such spikes can pave the way for diabetes, high blood pressure, and high cholesterol levels, all risk factors that can snowball into a heart attack. Your lunch is not just a time for you to eat a snack, although you might have made it a habit for you to be taken snacks every time in the afternoon, well, it's not too bad, but it's bad when you form it to become a habit. Once you take your breakfast in the morning, no matter how small, you are expected to eat your lunch from 1:00pm-3:00pm. If by this time of the day you have not yet taken lunch, then you are expected not to overfeed yourself in the dinner part of the f meal. Reduce the way you eat heavily especially in evening. You might load yourself as much as you can in the morning and afternoon, but once it comes to the dinner, you are expected not to overdo, because too much of everything is too bad. Your dinner should be specifically taken on or before 6:00pm. Many people around the world always say that if they eat at that time of the evening, before it's 9.pm, they're already getting hungry again. The truth is we are all adults, we can control ourselves of what we eat. If we can be able to control ourselves of what we eat, then we can be able to make better and sound health in our vicinity.